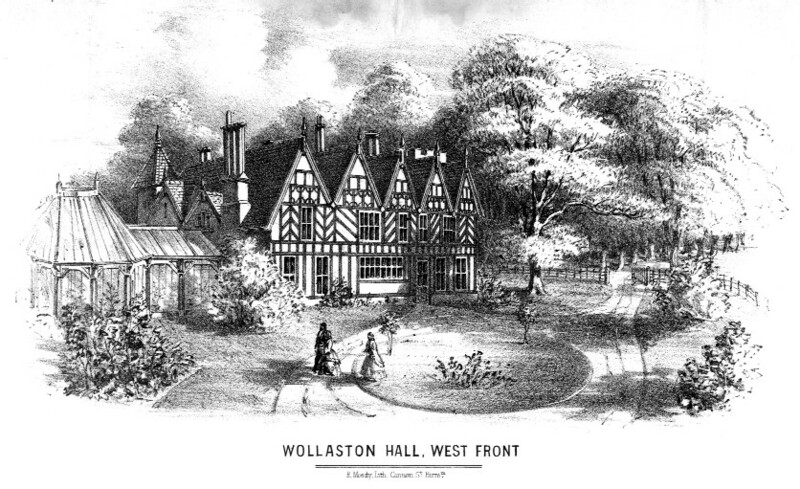 Eileen Blades recalled that the old tower, which survived from the first Wollaston Hall, had walls so wide and hollow that she could walk right along to come out at another secret exit. She also recalled that she was forbidden to go into the tower as she was told she would fall through the floor if she did. This engraving from 1851 is the only one that shows the tower to good advantage.